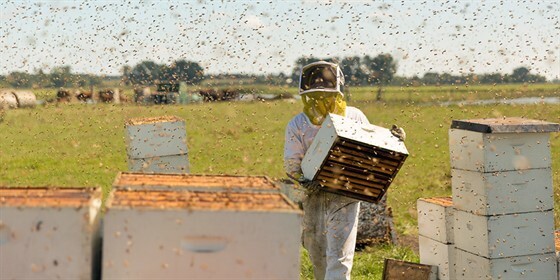 THE POLLINATORS is a cinematic journey around the United States following migratory beekeepers and their truckloads of honey bees as they pollinate the flowers that become the fruits, nuts, and vegetables we all eat. The many challenges the beekeepers and their bees face en route reveal the flaws of our simplified, chemically dependent agriculture system. Director and beekeeper Peter Nelson and his team talk to farmers, scientists, chefs, and academics, who provide a broad range of perspectives on the environmental threats to honeybees, what their fate means to our food security, and how we can improve the outlook for both.